William Ferguson's classic photographic portrayal of the major pre-Columbian ruins of Mexico, Guatemala, Belize, and Honduras is now available from UNM Press in a completely revised edition. Magnificent aerial and ground photographs give both armchair and actual visitors unparalleled views of fifty-one ancient cities. The restored areas of each site and their interesting and exotic features are shown within each group of ruins. The authors have thoroughly revised the text for this new edition, and they have added over 30 new photographs and illustrations as well as a completely new chapter by Richard E. W. Adams on regional states and empires in ancient Mesoamerica. Over a span of three thousand years between 1500 B.C. and A.D. 1500 great civilizations, including the Olmec, Teotihuacan, Maya, Toltec, Zapotec, and Aztec, flourished, waned, and died in Mesoamerica. These indigenous cultures of Mexico and Central America are brought to life in Mesoamerica's Ancient Cities through stunning color photographs. 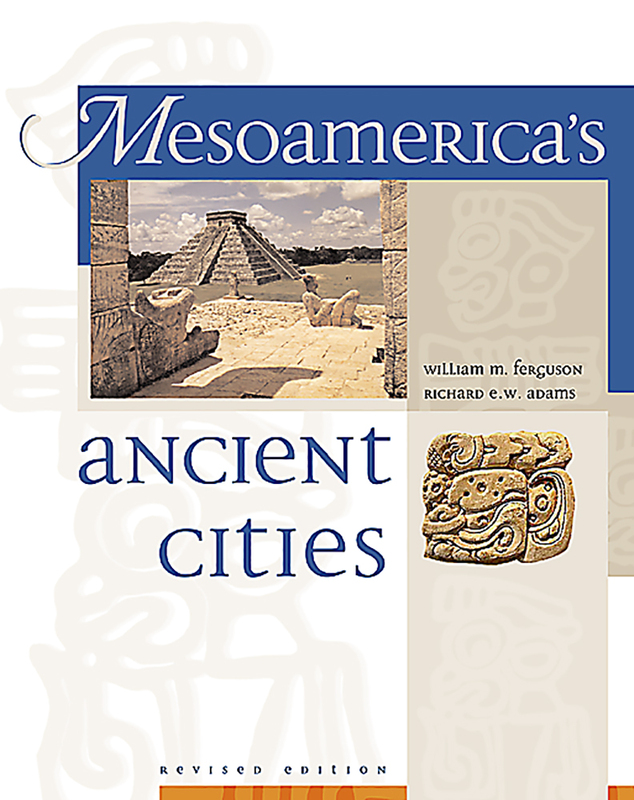 The authors include the most recent research and most widely accepted theoretical perspectives on Mesoamerican civilizations. Ideal for the general reader as well as scholars of Mesoamerica, this volume makes a significant contribution to our knowledge of the Americas. A former rancher, writer, banker, lawyer, and state official, the late William M. Ferguson wrote six books on Southwest U.S. and Mesoamerica ruins. Richard E. W. Adams received his Ph.D. in Anthropology from Harvard University. He has over 37 years of field work experience in the Maya area. He is author and editor of twelve books and author and co-author of ninety-five papers. He is past president of the Society for American Archaeology, resident fellow at the Rockefeller Study Foundation, Bellagio, and overseas fellow at Cambridge University. His most recent field work is in the Maya lowlands of Guatemala and Belize. Adams is a professor at the University of Texas, San Antonio, director of the Rio Azul Archaeological Project and Programme for the Belize Regional Project.